So true. I was cleaning off the velcro on my shoes, removing threads, dead vegetation, and gunk– and I reflected that negative thoughts, whether to myself or towards another, bind me to much more than I had intended. Thank you for the encouragement, reminding us that change begins within each of us. Now to address those shoes…Quilcene collectors’ items! and remember to take along gloves and garbage bags when you are walking the beach! Kathleen, I love that image of negative thoughts as velcro. Thank you, and good luck with the shoes! Powerful. Beautiful. Eloquent. Great image. (And @Kathleen, loved your image, too.) Thank you. You “speak my heart”, thank you. A few months ago I was using this reference in the context of the physical dis-ease process and when commenting on there having been naturally formed a floating island of waste plastic in the Pacific twice the size of Texas and 30 ft thick, one of the folks corrected me > there are two in the Pacific now and one in the Atlantic! Yikes, I have to say this knowledge also touched my heart, and not in a soft way. Yes, another area to practice “forgiveness”. Yes, and in conversation with a friend this morning I learned that there are actually *5* such gyres of plastic now in the oceans. She was also talking about the different strata, how different types of plastics sink to certain levels. I’m still trying to get my mind around something like that twice the size of Texas. I’ve driven across Texas, and it’s an enormous state. 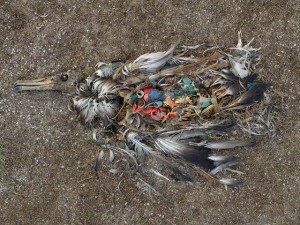 To think of that much plastic waste multiplied now boggles the mind and saddens the heart.